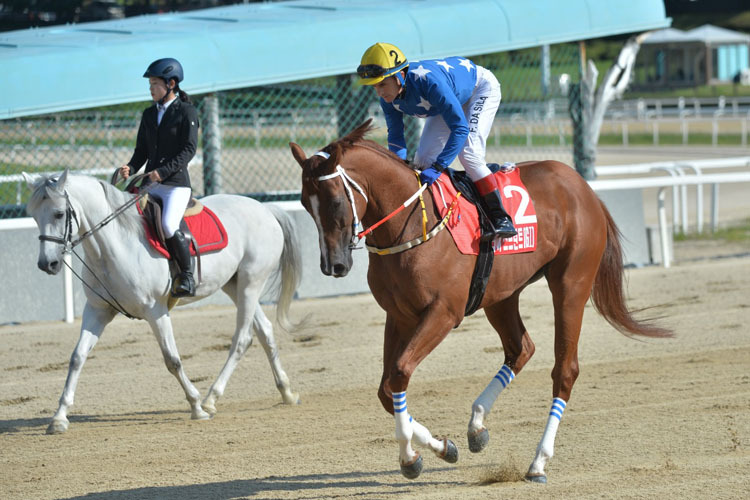 And at Busan on Sunday, the one-time confirmed sprinter burnished his two-turn credentials by winning the class 1 feature handicap over 1 1⁄4 m, despite carrying top weight of 132lbs. He was made to work for it though as under jockey Lee Hyo-sik, Today duelled for the entire length of the home straight with Great King, himself 5th in the Grand Prix and getting 9lbs in weight from the favourite this time. Having come together with two furlongs to go they went back and forth all the way to the line. Neither Lee nor Great King’s partner Kim Hye Sun had any idea who had won but it was Today who had his nose down at the right time. A stride either side of the line, Great King was in front. A winner of ten of his first twelve starts, Today went to Kranji in Singapore and ran 3rd over 6 f last July before being an also-ran in the Korea Cup in September. He ran 4th to Ace Korea in a Listed race in November before his unexpected appearance at the Grand Prix. It seems that at five-years-old, his near-future at least is at the further distances. Up at Seoul, the banker favourite of the day was defeated as Spring Back went down as a heavy odds-on favourite in race The three-year-old Gemologist gelding began his career so impressively last year but today couldn’t overcome 100/1 shot Super Socks who struck the front late and ran on to win by a length for Italian trainer Luigi Riccardi. Racing returns to Korea next weekend when the first Listed race of the year will be run. The Segye Ilbo Cup over 6 f will take place at Seoul on Sunday.